The Sea-Dog Ring Buoy Bracket can be used on 7/8" or 1" tubing or mounted directly to a flat surface. 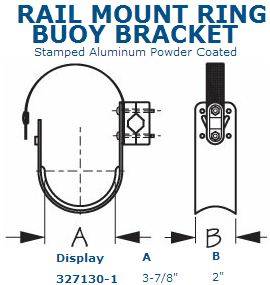 Each Ring Buoy Bracket comes complete with all necessary hardware to mount on tubing. Made from marine grade aluminum and powder coated for a long lasting finish.